To promote reading in our children and to assist others with easy access to books we have created a free in office book exchange. Reading and learning are important skills that provide us with essential knowledge for many of life’s challenges. Reading also offers a gratifying sense of enjoyment for leisure readers. 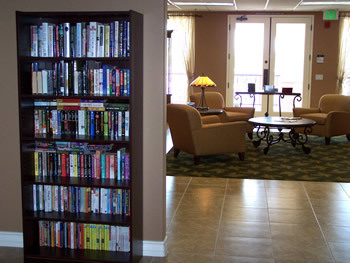 We invite you to visit us and check out a book and read it at your leisure. Help us encourage reading by donating your used books. As an incentive, we offer an in-office gift certificate to any child under 18 who reads an Book Exchange book and submits a related book report to our office. This gift certificate is transferable and has no expiration date - it can be used by the child, friend or any family member at any time.